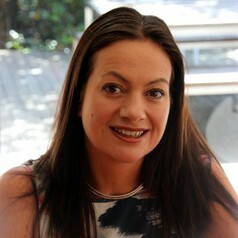 Georgina Hall is a former journalist with a Masters in Bioethics from Monash University. She is a foundation member of the Children's Bioethics Centre at the Royal Children's Hospital, Melbourne with a focus on paediatric bioethics. She is a member of the Monash Health Clinical Ethics Committee, and her PhD is looking at how child welfare considerations are integrated into access decision-making for Assisted Reproductive Treatment.